Power users the world over will know what I mean – you sit in front of your laptop and get frustrated at all the stuff you have to fit into one screen – so, many of us at home or work use multiple-monitor setups, spreading the work over 2 or more screens. 2 screens is easy, any modern computer worth it’s salt will have a second output – you simply plug in a second screen, a little instruction to Windows 7 to spread stuff across the screens and off you go. But what if you want more than two? You can fit another video card of course and that’s GREAT for the likes of games such as Crysis 2 where you want one screen for the main action and one on either side to keep an eye out for your enemies.. but for regular use there are some disadvantages to this approach. The first is speed – all that extra pixel-processing power doesn’t come for free and you’re going to need a fairly hefty system to handle the extra load – also having more screens means you generally run more programs and need more memory etc. Finally, you or someone else has to go in there and fit the second card. What if your main card is a top-of-the-line gaming video card… you’re going to need to spend the same again so as to keep up performance. So, a great simple solution for technical bods, not so much for others. Another way and the method I’ve adopted has been to use software to link machines on a network and share the same keyboard and mouse. A freebie called Synergy has done this for years and I wrote about it some 2 years ago. A COPY operation on one machine would let you transport text from one machine to another, but sadly that was about it, no graphics, no files etc – also Synergy, a cross-platform open-source package was great but it frankly crashed with more regularity than one would like – and no-one was doing anything about it. I was told that there’s an update for Synergy and was about to go looking when I thought I’d Google “better than Synergy” and sure enough in some obscure chat group I say a message that said something like “Input Director only works with Windows but is more stable and lets you copy files” – quick as a flash I was over to their website and downloaded the files… well, it generally worked but file copy didn’t – and I got a message griping about my Windows 64 keyboard. In desperation I tried their latest beta and…. BINGO. Input Director (I’ve used the latest BETA 1.3 on three computers up to now without issue) is free for personal use (you can make a donation by Paypal if you’re so inclined) and sits in my case on my main computer set to MASTER. On my laptop and second PC, the package is also installed, set to Slave. To get from one PC to the other, I simply move the mouse off the edge of one screen and to the next. It appears as if by magic on the slave machine (the term is misleading – the other computer or computers work like normal but your master mouse and keyboard can simply take over as you slide the mouse over to them) – you can determine if your slaves work to the left, right or above or below your main computer and like the master they may or may not have multiple screens. Where it gets magical is the clipboard. On any of the machines I may grab some text or a partial screenshot – or even copy a file – drag the mouse over to another machine and hey presto – PASTE works. To all intents and purposes you’ve simply added screens to your main PC – but in reality you also have the added power of the extra computers! For copying partial screens I don’t use the Windows 7 clipboard utility, I’ve always used the (for me superior) free screengrabber MWSnap from Mirec Wojtowicz. I have that installed on all three machines – and it works by hitting CTRL-SHIFT-A (by default) and selecting the screen area you want to copy. I can even direct that to work on one slave – and PASTE the resulting screen-grab to the other slave… it really does work just like magic. It says it works on any 32-bit system but in practice works just as well on 64-bit systems, the only gripe I have it it won’t screen-grab from a second screen (on the same PC). This package works well with the new Input Director and is recommended. But now I have something new! PicPick works in a similar way to MWSnap, is free for personal use (something like £15 otherwise) AND it works on multiple monitors – so if your main PC has 2 monitors you can grab screen bits from either. Believe me if you do this a lot it’s a pain keep moving windows over to the first screen to copy something. If you install PickPick on multiple machines, you can freely grab materials from any screen and paste into an application in any other screen – absolutely amazing. 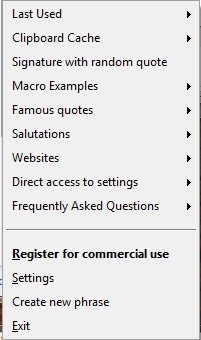 Just make sure you DON’T tick the first box or you’ll have BING added to your browser! 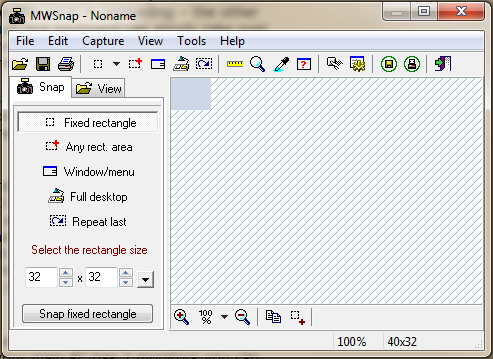 The program even has a decent image editor which will let you annotate images, blur, resize etc. VERY handy. N ow, this THIRD item is entirely optional and actually a bit off the point but it works so well I thought I’d put it in here – I often have the need to type the same things over an over or repeat a sequence of keyboard or mouse actions. Microsoft WORD used to let you do some of this but since the latest version it’s far from easy to use. A great and again free-to-use option is PhraseExpress. This allows you to easily paste in any combination of keystrokes into any of your applications or indeed control Windows itself from the right-tray on your desktop. This is is a seriously good piece of software and works a treat. Between the various tools I’ve described above, you can put together your PC and laptop or older PCs to great effect and enhance productivity while having a bit of fun. None of the above need a brain surgeon to install and up to now appear to work utterly reliably. If installing these programs burns your computer to the ground, I take no responsibility. Someday when I’m rich and famous, instead of a hodge-podge of monitors of different sizes (which work perfectly well but don’t look like they’re on a NASA set), I’m having a set of 22”. For now I can dream..